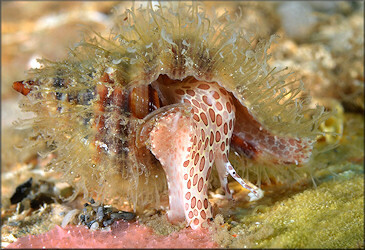 Most workers had formerly considered this Western Atlantic morph as separate species - known as Cymatium (Monoplex) martinianum (d' Orbigny, 1847). 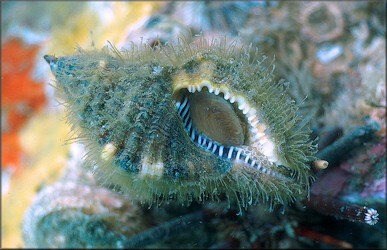 However recently published information (A. G. Beu, 2010) indicates that it is but a form of C. pileare. Beu, A.G., 2010. 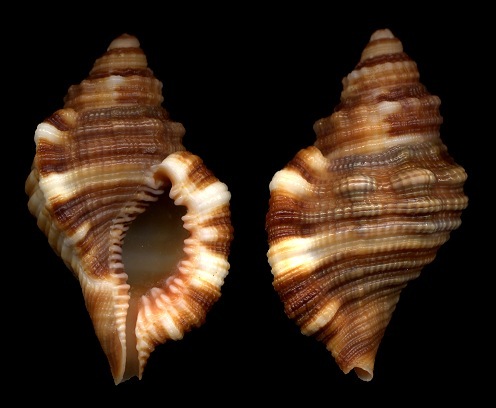 Neogene tonnoidean gastropods of tropical and South America: Contributions of the Dominican Republic and Panama Paleontology Projects and uplift of the Central American Isthmus. Bulletins of American Paleontology 377-378: 1-549 incl. 79 pls. August. 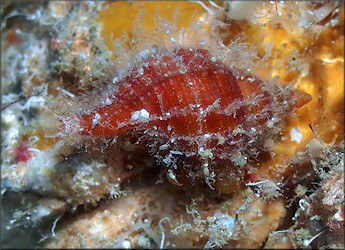 Interestingly, the protoconch of this morph (see images below) was mistaken for an adult shell and named Litiopa effusa by C. B. Adams (1850: 71) [unfigured and type lost fide Clench and Turner, 1950: 276]. 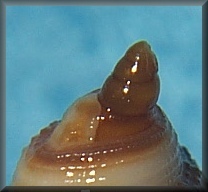 The protoconchs of Litiopa spp. have a reticulated sculpture quite unlike that of this species. 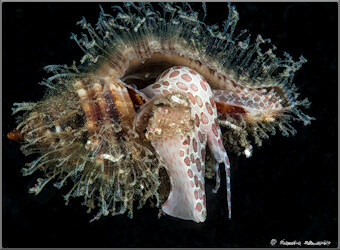 This is the first but not the only case of mistaken identity of a ranellid protoconch. 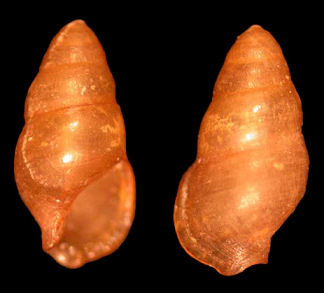 The protoconch of Cymatium parthenopeum (von Salis, 1793) was named Dissentoma prima by Pilsbry (1945: 59-60; fig. 1) and that of Cymatium aquatile (Reeve, 1844) Rissoa cruzensis Nowell-Usticke (1969: 10, pl. 2, fig. 258). Nowell-Usticke, G.W., 1969. 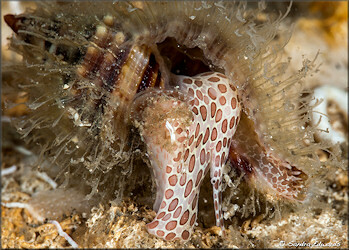 A Supplementary Listing of New Shells, to be Added to the Check List of the Marine Shells of St. Croix. Published privately, St. Croix. 32 pp., 6 pls. Feb.
Pilsbry, H.A., 1945. 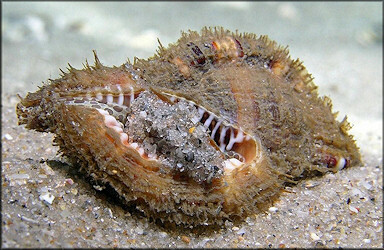 New Floridian marine mollusks. 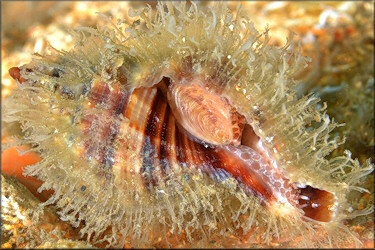 The Nautilus 59: 59-60, pl. 6. October.